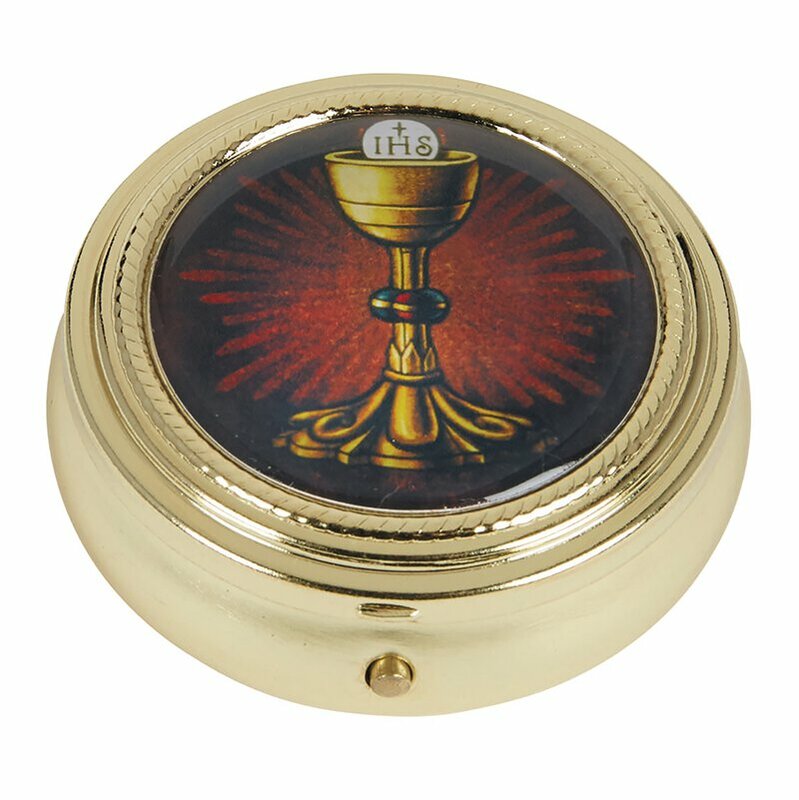 Carry your consecrated hosts in this pyx with an epoxy lid on your visitation to the sick or infirmed. This vessel holds up to 10 hosts and has a fitted closure providing a barrier to dirt and moisture. It is polished gold tone with the artwork of a chalice with host on the cover. Sold in quantities of 3 per pack.